We understand that Baytown has a lot to offer, whether it’s a variety of cuisine, a place for bird watchers, a music festival in May, or the unique shops sprinkled around the city, but when you need a new or used Chrysler, Dodge, Jeep, or Ram model, consider a trip to our dealership. Not only do we have a wide selection of models, including the Chrysler 300, Jeep Grand Cherokee, and Ram 1500, but we also have the tools necessary to purchase and maintain them. 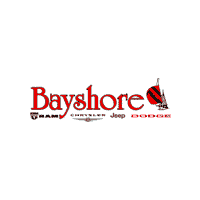 Here at Bayshore Chrysler Jeep Dodge, Baytown drivers can browse our full inventory of new and used Chrysler, Jeep, Dodge, and Ram models, but you can also discuss your needs for financing that vehicle right in the same visit. Our staff is knowledgeable and have been doing this for a long time, so we know who to contact and what to say in order to find you the right option for you without having to drive from bank to bank. Another reality of owning a new vehicle is the fact that you will have to bring it in for routine maintenance and for repairs, should anything happen, and why waste time searching for a place to have that done when you can get it taken care of right here? Our Baytown customers can enjoy the convenience of having your vehicle serviced by people who know what to expect of the specific brands we sell, and are up to date on the latest training requirements. At our location, we also have the parts you need to complete your do-it-yourself project if you have one, and we even offer an express oil change option to get the most out of your experience since this is the most frequently needed service. Visit us today and discover the many ways we are here to service our Baytown area customers.